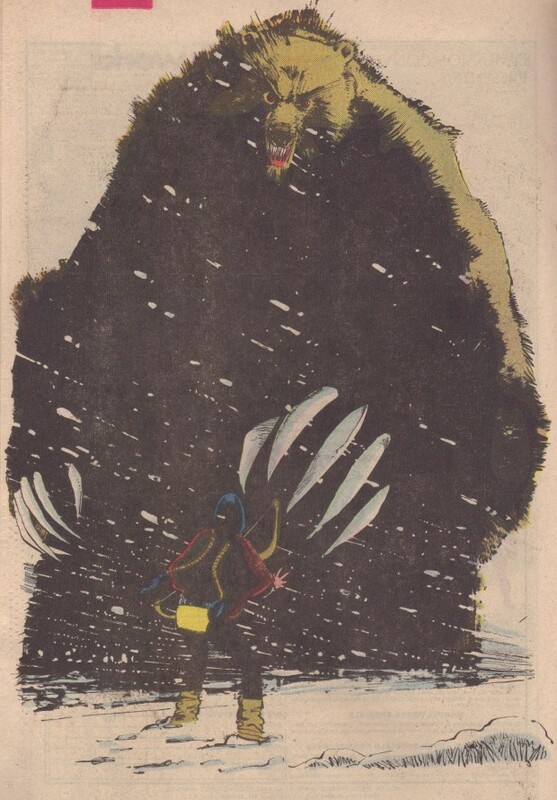 from the ‘demon bear’ storyline in the early 80’s NEW MUTANTS comic. the story goes that Sienkiewicz was offered X-Men but wanted to do the lesser profile NEW MUTANTS so that he could explore new styles. comics thanks you, bill.